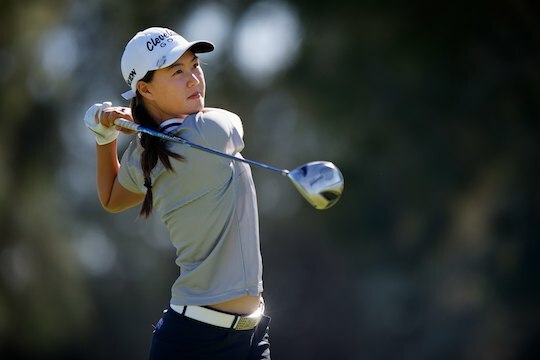 If any proof was needed that Australia’s Minjee Lee is the next big thing in women’s golf, it was proven once again in the US last week. Already ranked the number one amateur in the world, Lee played some stunning golf to qualify for next month’s US Women’s Open at Pinehurst. Showing maturity far beyond her 17 years, Lee bounced back from an opening round of 74 to shoot a slick 66 at North Oaks GC in Minnesota to nab the lone sectional qualifying spot on offer at that venue. Lee joins Karrie Webb, Katherine Kirk and two more qualifiers, Nikki Campbell and Stephanie Na in the field in North Carolina from June 19-22 – the week following the US Men’s Open at the same venue. It’s the first time in the championships’ history that both majors are being played back-to-back at the same venue. So dominant was Lee in her qualifier that she finished nine shots ahead of American Amy Anderson, who claimed the first alternate place by finishing runner-up. It will be Lee’s second consecutive appearance in a women’s Major Championship after she finished leading amateur at the Kraft Nabisco Championship in April, with the event being won by Lexie Thompson. Two other side Aussies made their presence felt on a qualifier on the other side of the Atlantic, earning their Open spots in an English two-rounder. Stephanie Na and Nikki Campbell both finished their 36-hole qualifier on 144, earning places in the starting field with six others who successfully negotiated qualifying at the Buckinghamshire Golf Club.